Saving Agendas for team meetings is more efficient than saving agendas for yourself because it allows team members to contribute to the Agenda. 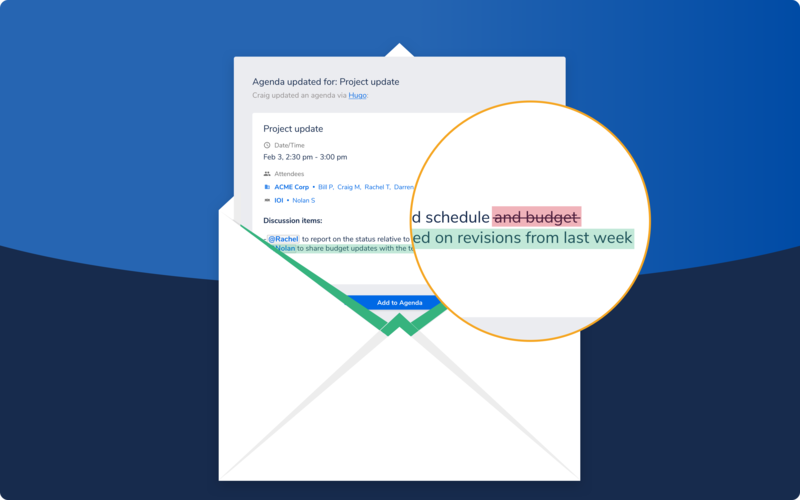 When a teammate amends an existing agenda, other teammates who are attending that meeting will be notified that a change was made and Hugo will highlight what was added/removed. Use @mentions to notify other teammates if they have tasks that need to be completed/prepared for the meeting ahead of time. Who does Hugo share agendas with? 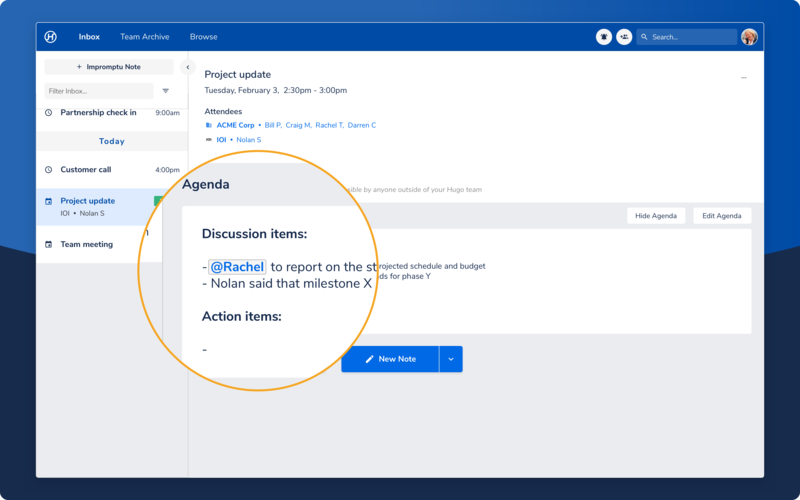 Hugo will automatically share your meeting agenda with other attendees who are on your Hugo team. Attendees who are not on your team will only receive the agenda if you opt in, by checking the box Email to external attendees"
Do you offer branding/white label agenda emails? Hugo does not currently offer personalized branding for agendas or notes that are shared via email.